Chelsy Meiss on Being the First Woman to Dance the Mad Hatter in Wheeldon's "Alice's Adventures in Wonderland"
Chelsy Meiss in rehearsal for Alice's Adventures in Wonderland. Spring Morris, Courtesy National Ballet of Canada. When Christopher Wheeldon's celebrated Alice's Adventures in Wonderland returns to National Ballet of Canada's stage this week, there will be one big change. First soloist Chelsy Meiss will dance the role of the quirky, tapping Mad Hatter, the first time ever that a female dancer has stepped into the part. "Chelsy is one the most versatile dancers in the company," says artistic director Karen Kain. "The Mad Hatter role is the perfect vehicle to showcase her acting ability, enthusiasm and tap dancing technique." For Wheeldon, this decision came at just the right time. 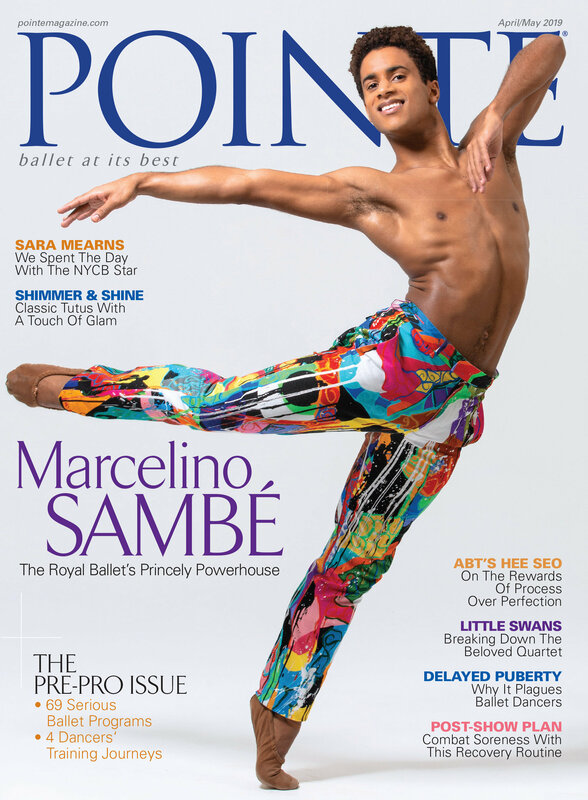 "In the current climate, where the boundaries of gender in ballet are being explored, the option to have Chelsy as The Mad Hatter became a relevant discussion," he says. We caught up with Meiss to hear all about what it feels like to take on this groundbreaking role. Weeks, a newly promoted SFB soloist, in Christopher Wheeldon's Bound To. Photo by Erik Tomasson, Courtesy SFB. If a dancer is very lucky, and very prepared, one performance can transform their career. Lonnie Weeks was that dancer on the opening night of San Francisco Ballet's Unbound Festival in April. Chosen by Christopher Wheeldon for the emotionally wrenching final solo in Bound To, Weeks, 27, went onstage as a superb but largely unsung company artist. When the curtain came down 30 minutes later, he was, rightfully, a star. Pacific Northwest Ballet company dancers in Benjamin Millepied's Appassionata. Photo by Angela Sterling, Courtesy PNB. Pacific Northwest Ballet travels to Paris for the first time this summer, and artistic director Peter Boal couldn't be happier. "I think we have a tremendous reputation, but people outside the greater Seattle area haven't seen this company," Boal says. That will change after PNB's two-week stay with the French festival Les Étés de la Danse, which hosts a different international company every summer. A PNB residency had been in the works for several years when Les Étés de la Danse decided to produce a larger celebration of choreographer Jerome Robbins this summer, inspired by his centennial. New York City Ballet, Miami City Ballet, The Joffrey Ballet and Russia's Perm Opera Ballet Theatre will join PNB for that one-week tribute. From left: Jennifer Stahl, Lonnie Weeks and Sasha De Sola in rehearsal for Trey McIntyre's new work. Photo by Christian Peacock for Pointe. Summer is always a lively time at San Francisco Ballet, as the dancers return from vacation and launch into rehearsals for the upcoming season. But last July through September felt absolutely electric with creativity as the company created 12 world premieres for Unbound: A Festival of New Works, a cutting-edge program that will run April 20–May 6 at the War Memorial Opera House. Artistic director Helgi Tomasson invited a wish list of international choreographers to participate: David Dawson, Alonzo King, Edwaard Liang, Annabelle Lopez Ochoa, Cathy Marston, Trey McIntyre, Justin Peck, Arthur Pita, Dwight Rhoden, Myles Thatcher, Stanton Welch and Christopher Wheeldon. Each got about 12 dancers, three weeks' studio time and, aside from a few general guidelines, total artistic freedom. How The Royal Ballet's Lauren Cuthbertson Brings Whimsy to "Alice's Adventures in Wonderland"
Cuthbertson and Federico Bonelli as Alice and Jack/the Knave of Hearts. Photo by Andrej Uspenski, Courtesy ROH. As told to Laura Cappelle. I knew before Christopher Wheeldon even started Alice's Adventures in Wonderland that he wanted me to create the title role. We made Alice together. We feel like she is our girl! She's charming, witty, tough, curious. She's got a very big heart. She's also spontaneous, which helps the show, because you don't have to be calculated the whole time. You can bounce off the characters you come across, because everyone plays them slightly differently. Ashley Wheater rehearsing Antony Tudor's "Lilac Garden." Photo by Cheryl Mann, Courtesy Joffrey Ballet. 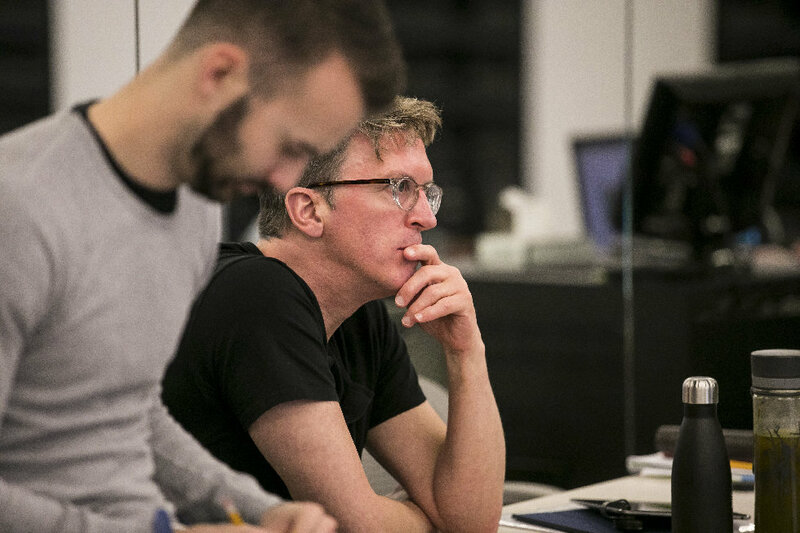 The first time Ashley Wheater was courted to be artistic director of the Joffrey Ballet, he said "Thanks, but no thanks"—he was very happy at San Francisco Ballet, where he'd spent eight years as a principal dancer and 10 more on the artistic staff. But a trip to the Windy City for the Chicago Dancing Festival and a visit to Joffrey's studios prompted feelings of nostalgia for Wheater's early years dancing with the company. He was hired by co-founders Robert Joffrey and Gerald Arpino in 1985, when the company was still based in New York City and under Joffrey's direction. After Joffrey's death, Arpino became artistic director and later moved a struggling Joffrey Ballet to its current home in Chicago in 1995. When Arpino fell ill and began to look for a successor, the company had lost much of its original adventurous spirit. Remembering its earlier spark, Wheater agreed to apply during that trip to Chicago, and accepted on the spot in 2007 after a weeklong interview process. As the third artistic director in the company's 62-year history, Wheater has spent the last 10 years rebuilding its national reputation, tackling challenging new repertoire and reimagined classics at a ferocious pace. The rep now includes works by choreographers like Christopher Wheeldon, John Neumeier, Alexander Ekman and Yuri Possokhov. 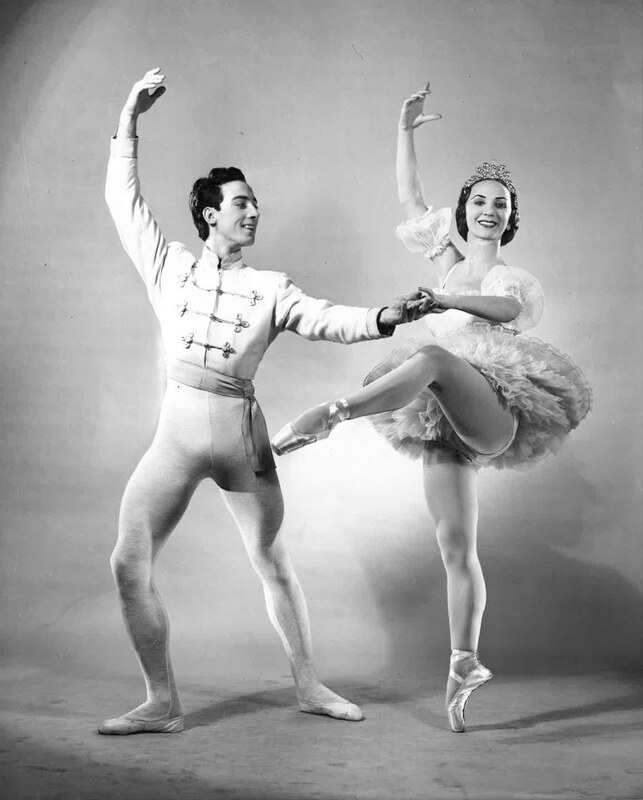 Wheater shelved many of Joffrey's and Arpino's dances to make room for new ones, preferring to honor Robert Joffrey's legacy by taking risks and fostering innovation. Wheater. Photo by Todd Rosenberg, Courtesy Joffrey Ballet. Artists of the Joffrey Ballet in Christopher Wheeldon's "Nutcracker." Photo by Cheryl Mann, Courtesy Joffrey. When we go to the Nutcracker, we expect to be transported to a world that's both magical and familiar: the timeless Tchaikovsky music, the classic tale of a little girl and her Nutcracker prince, the sugary Land of Sweets. Yet when the Joffrey Ballet presented the world premiere of Christopher Wheeldon's new Nutcracker last year, audiences got a uniquely Chicagoan production that turns the original story on its head. Here, Marie is a poor Polish immigrant whose family lives in a shack on the construction grounds of Chicago's 1863 World's Columbian Exposition. The result is both daring and visually spectacular. But a lot of work goes into making that magic look...well, magical. A new PBS documentary, Making a New American NUTCRACKER, follows the Joffrey Ballet, Wheeldon and his stellar creative team as they build the ballet from the ground up. While the documentary is full of the kind of behind-the-scenes footage dancers love, it also reveals the important reasoning behind the revamped story. 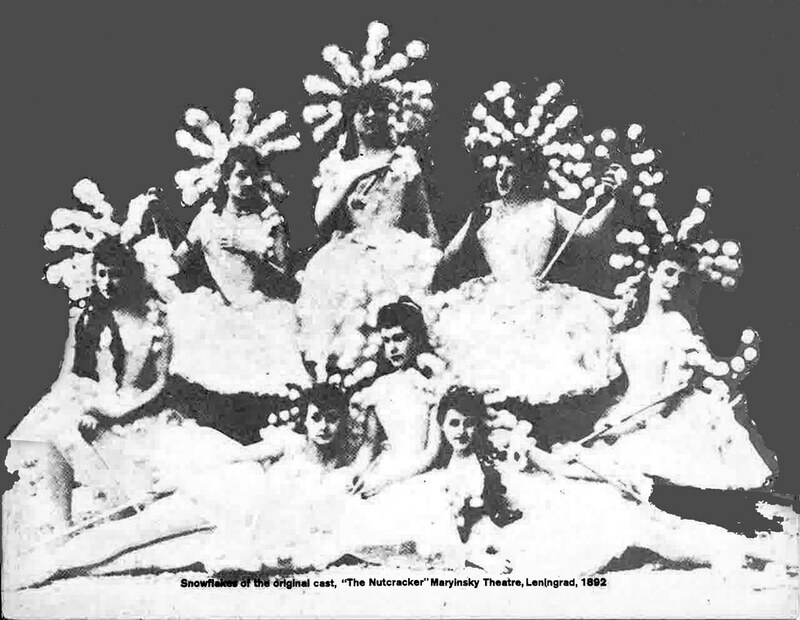 The Columbian Exposition setting was the brainchild of Joffrey artistic director Ashley Wheater, and both he and Wheeldon found the traditional Nutcracker story's message somewhat troubling. Wheeldon notes that the protagonist is typically a privileged, wealthy child. "And then she falls asleep and dreams of more," says Wheeldon. "More candy, more entertainment."